Indoor air chemistry remains a challenging research area given the complexity of contributing pollutant sources, from infiltration of outdoor pollutants to outgassing of indoor materials and human activity emissions such as food cooking and cleaning. Furthering the complexity, many of these pollutants can partition on and off indoor surfaces, undergo chemical reactions, and move between the gas and particle phases when altered by ventilation or other changes in pollution sources. To help address the need for better characterization of indoor air chemistry, this project aims to develop a new field-deployable automated instrument for the simultaneous measurement of organic gas and particle chemical composition. A further challenge is that there can be many thousands of individual molecules that are present in the indoor environment, and it is difficult to track (and model) the presence and loss of each of these molecules. 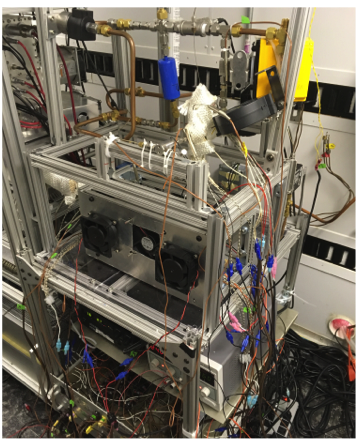 The instrument developed here will arrange molecules by their volatility and polarity, allowing investigators to group molecules into similar volatility and polarity bins in an attempt to improve our ability to model the partitioning of organic material between the gas and particle phase. 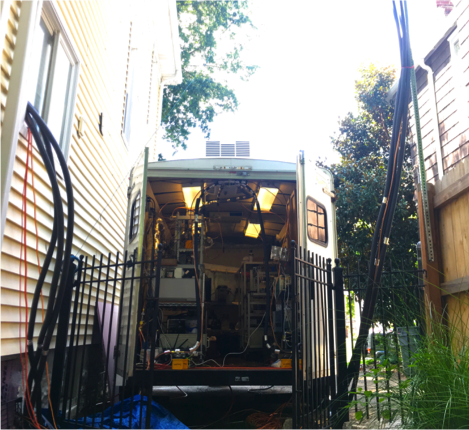 Through controlled laboratory studies and a field deployment in a test home, we will demonstrate the instrument’s capability to measure changes in this phase partitioning through processes such as oxidative chemistry, human activities, and building dynamics. Molecular data and volatility/polarity-separated data will be stored and shared in a searchable database freely-accessible to the indoor research community. This project will introduce new measurement capacity for the CIE community to answer outstanding questions on indoor air composition and transformation while engaging and training the next generation of diverse scientists and engineers on instrumentation development geared at advancing the study of indoor environmental chemistry.